Honorary and memorial gifts come in many forms. Your gift can be in the form of a financial contribution or be directed towards the purchase of a specific memorial, such as an engraved brick, memorial rose, tree, bench or garden. 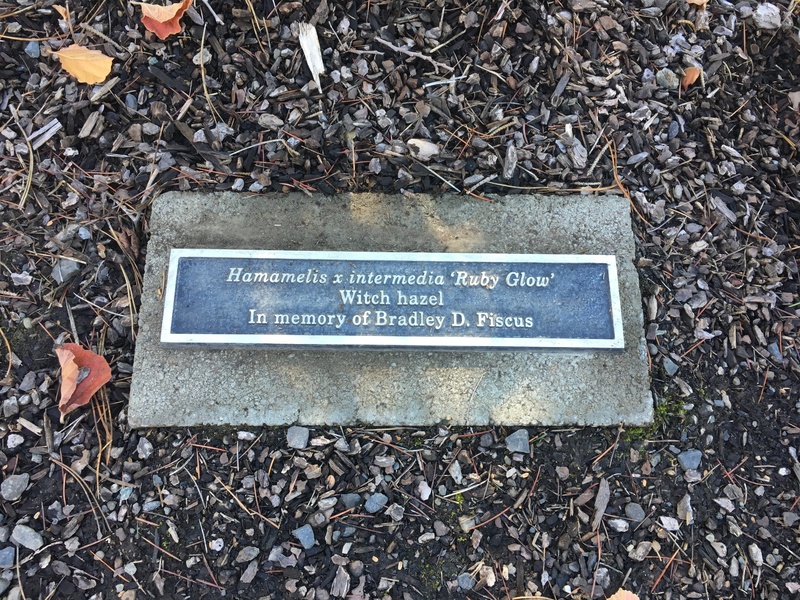 All promise to have a lasting impact on the Yakima Area Arboretum and provide an excellent way to remember and/or honor a friend or family member. Honor your friends, family, and loved ones by making a financial contribution to the Yakima Area Arboretum. Your generous tax-deductible gift will help keep the Yakima Area Arboretum green and growing for generations to come. Once your gift is received, we will will send a letter to the honoree or family acknowledging your gift. Memorials at the Arboretum provide family and friends a beautiful place to honor, visit, and remember their loved ones. Nestled in the leeward side of the Jewett Interpretive Center is the Founder’s Courtyard. Inlaid with brick, the courtyard is a popular venue for many Arboretum events. Overlooking the Jewett Pond and gardens it’s a beautiful place to remember or honor a loved one. 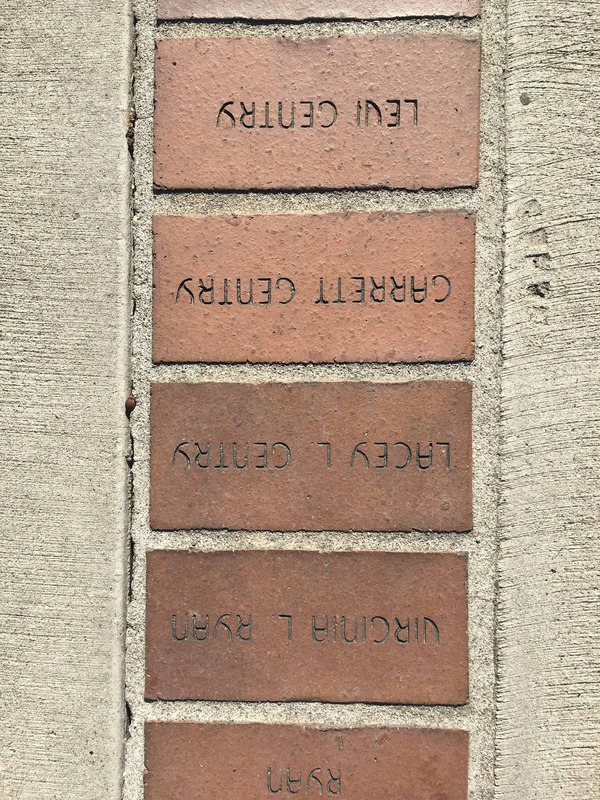 Bricks can be purchased anytime of the year but are not engraved during the winter when temperatures drop below freezing. Engravings can include two lines of short copy. The Zonta Rose Garden is a colorful and fragrant place with many quiet seating areas to reflect and remember loved ones. A memorial rose can either be selected from any non-claimed rose currently in the garden or selected from a wish list. A small permanent brass plaque with the honoree’s name and rose variety is included. Memorial trees become part of the Yakima Area Arboretum’s official plant collection and are carefully managed to ensure their good health and long life. As a result, many memorial trees will be a valued part of the Arboretum’s collection, making them a wonderful legacy for honored friends and family. Memorial trees can be selected from any one non-memorial tree currently in the collection or from the Arboretum’s tree wish list. Every effort is made to work with the family to best accommodate their need for a particular type of tree or location at the Arboretum. Each memorial tree comes with a commemorative aluminium brass plaque set in the ground at the base of the tree. Family and friends are welcome to help plant the tree and include a small non-toxic memento in the ground if desired. 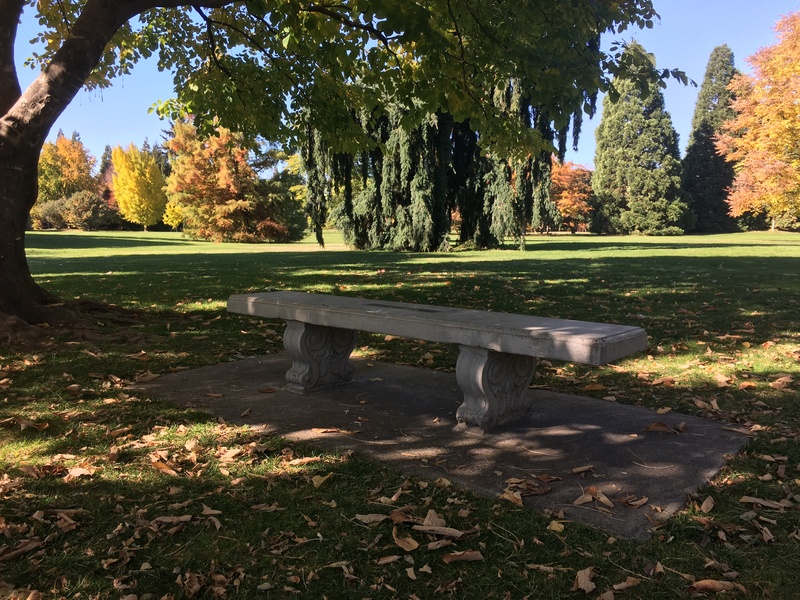 Scattered throughout the Arboretum are memorial benches, usually placed to give visitors a quiet spot to rest or enjoy the view. They are also a popular and permanent way to honor a loved one. Since we have many intimate corners or shady spots that would welcome a bench donors have a wide choice of locations. Memorial benches are inlaid with commemorative aluminized brass plaque listing the honoree’s name and one additional line. The Arboretum is not only a collection of trees but also of numerous display gardens. Many of these gardens only exist because of the generosity of a donor. Consider making a one time, or recurring donation to any one of the Arboretum’s several garden trusts or collections. Your donation will help ensure that a specific area of the Arboretum will receive specialized care, hardscaping, and plantings. A few of these gardens include the Japanese Garden, Rose Garden, Butterfly Garden, Xeric Garden, Iris Garden and Raised Bed Vegetable Garden. Employer gift matching increases the impact of your gift! Many companies match gifts to the Arboretum made by their employees, spouses and retirees. Please contact your personnel office to see whether your company has a matching gifts program to double or even triple your gift.